I'm all about the Google Photos app for automatically backing up the photos I take on my smartphone. Thanks to its unlimited free storage and high quality, iCloud doesn't even begin to compete. And, when it comes to the hundreds of photos stored in shoeboxes in my closet, Google Photos also happens to be the answer. All it takes is scanning and uploading from my PC, making backing up old paper photos a breeze. Here's how you can do it too. In addition to working on Android smartphones, Google Photos also works on iOS devices, Macs and PCs, making it a multiplatform workhorse. You get unlimited high quality storage if you don't upload using original quality, which means all your smartphone photos, digital camera photos and even old family album scans can be preserved and easily accessed forever, for free! Bringing all your old photos from paper to the digital realm is easy with the PhotoScan app. It's from Google and allows you to scan old photos, and it uses machine learning to help keep the color accurate and reflections or glare to a minimum. Then, once all your photos are digitized, getting them from your computer to the cloud is simple. Just download the Backup and Sync application from Google here. There's a version for Windows PCs and another for Mac. Once you open the software, just login with your existing Google account. Then, it will let you choose to backup all your files to Google Drive, or just the photos and videos. Select the option for just photos and videos for now so you don't end up taking too much space, and then select the level of quality you want (choose high quality for unlimited storage), which folders on your PC you want to sync with the cloud and other details like whether to save metadata for photo editing programs. Once you've done that, just let the program begin backing up all your selected files automatically. Afterward, you can still edit your settings and preferences, and whether or not you'd like to remove the photos from your computed when they're done being uploaded. In addition, it's possible to backup files directly from USB drives or SD cards which are connected to your computer. The application also has its limits. It won't upload photos weighing more than 75 MB, videos bigger than 10 GB or any images smaller than 256 x 256 pixels. The file types it will accept include: .jpg, .png, .webp, some RAW files, .mpg, .mod, .mmv, .tod, .wmv, .asf, .avi, .divx, .mov, .m4v, .3gp, .3g2, .mp4, .m2t, .m2ts, .mts, and .mkv files. 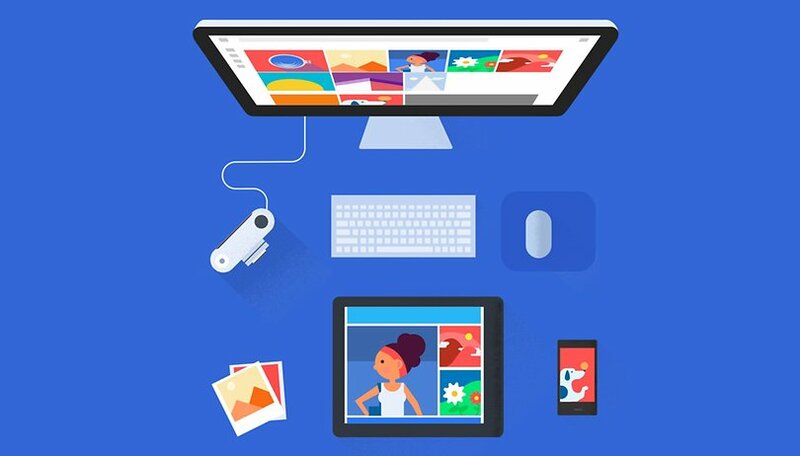 Are you a big fan of Google Photos? Are you getting the most out of it, or just using it for cell phone photo backups? Let us know in the comments.